The city of Babylon may have been the administrative center of the Achaemenid Empire, but the nation’s true center resided in Persepolis. 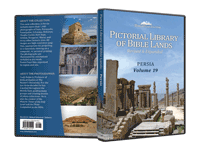 Construction of the city began somewhere between 520 and 515 BC, during the reign of Darius I. 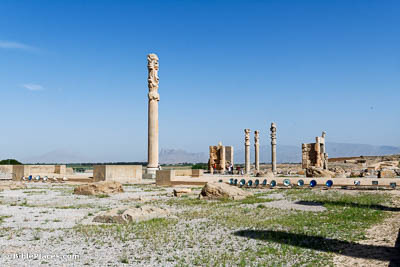 It would come to be admired as one of the architectural wonders of the world and the pinnacle of Achaemenid workmanship. 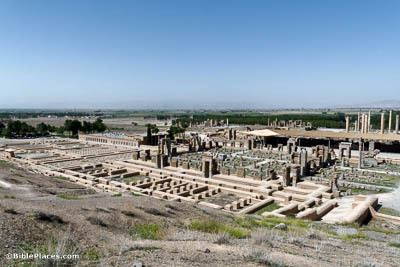 Persepolis was an immensely wealthy city with a suitably massive treasury. This was due in part to the annual New Year’s Day celebration, when tribute offerings would be brought to the reigning king. Unfortunately, Alexander the Great made off with most of the loot stored here, leaving little for archaeologists to uncover. 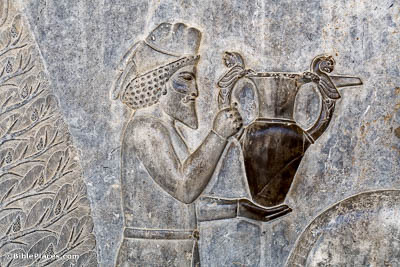 Though Darius was responsible for founding Persepolis, it was his son Xerxes who truly made it an architectural wonder, expanding some of Darius’s building projects and beginning many of his own. 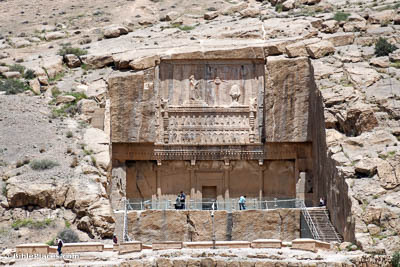 Fittingly, Xerxes’s own private palace was impressive both in its size and in the quality of its materials. 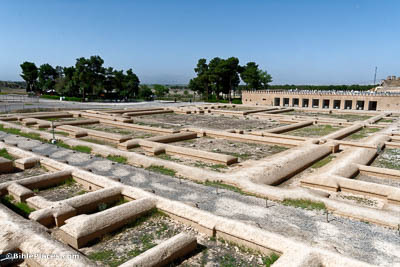 Of the city’s multiple audience halls, the Apadana was one of the first to begin construction. Darius died before it could be finished, and Xerxes took over the project. All told, it took roughly 30 years for this magnificent hall to be completed, and no later structure at Persepolis ever rivaled its scope. Persepolis is perhaps best known now for its stunning reliefs, the most significant being those that decorate the Apadana’s eastern stairway. Here, numerous foreign delegations are shown bringing tribute to the king, each depicted with distinct clothing and goods. In this picture, for example, a turbaned Armenian dignitary is shown carrying an ornate vessel. 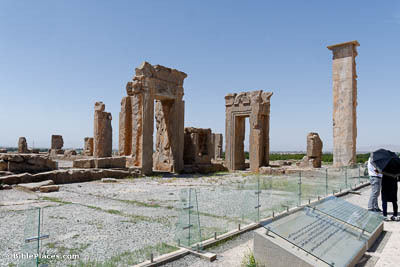 Though several of the Achaemenid kings were buried at the nearby Naqsh-e Rostam, two tombs have been found overlooking the terrace. They are generally believed to belong to Artaxerxes II and III, but the two tombs are so similar that it is hard to tell which tomb belongs to which king.